When buildings are designed, renovated, built and operated with the intention of minimizing environmental impact, everybody wins. Energy efficiency through the selection of sustainable products and solutions enable businesses to reduce operating costs, enhance comfort and worker productivity. The cost of lighting is on average 86% energy, 11% labor and products themselves only make up 3% of the overall life cycle cost of most lighting products. TCS is a distributor of Arcalux Lighting Corporation, an energy efficient lighting fixture manufacturer. 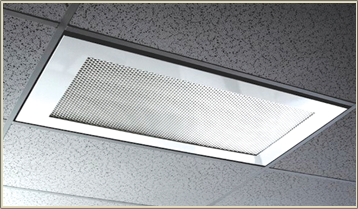 TCS also has access to more than 200 manufacturer product lines, including GE Lighting. We help owners, property managers, facility engineers of commercial and industrial facilities substantially increase the quality of light and visual environment while minimizing ongoing operating costs and environmental impact at the same time. There have been many legislative changes that could affect the lighting system you currently operate. Contact TCS for the opportunity to assess your system and uncover hidden profits that your current lighting system may be costing your business.